Huntingdon Valley Heater Repair, Air Conditioner Repair & Electricians | Think Green HVAC! With Green Heating, Cooling & Electric you can expect honest, affordable and reliable HVAC service in Huntingdon Valley. 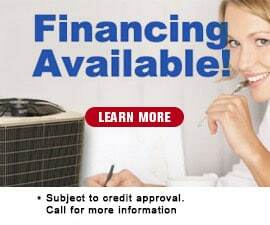 We offer a variety of HVAC services to cover all of our customers needs including air conditioner repair, furnace repair, heater repair, heat pump repair, thermostat repair, air purifier repair, dehumidifier repair, and other heating and cooling system repair in Huntingdon Valley. Our certified HVAC technicians offer their professionalism and their experience to each customer as a commitment to excellent service. 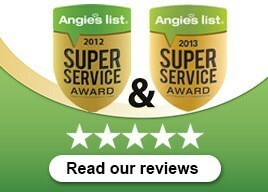 As a 2012 and 2013 Angie’s List award winner for outstanding HVAC service in Huntingdon Valley we know how to treat our customers, ensuring that the job is done right the first time and if there are any questions about anything, we make sure to put our customers first. At Green Heating, Cooling & Electric our air conditioner repair & ac service professionals will analyze and diagnose any malfunction your air conditioner system may have. Whether it’s an old AC system or new high efficiency air conditioning system our air service technicians have been trained to keep your air conditioner system properly maintained. By keeping your air conditioning system in top working order with annual maintenance, you can cut your monthly energy cost about 25% and reduce breakdowns by as much as 95%! Our annual 18-point inspection and tune up of your air conditioning system will keep your house cool and comfortable during those hot and sticky summer months. As always we offer 24/7 emergency service in Huntingdon Valley so you know you are covered when you need it most. 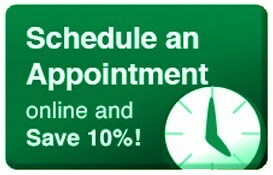 Remember when you want honest, affordable, reliable air conditioner maintenance in Huntingdon Valley… Think GREEN! Nobody deserves to be left out in the cold. So when you have a heater repair emergency in Huntingdon Valley you need someone that you can trust that can get the job done as quickly and affordably as possible. Whether it’s an old furnace repair in Huntingdon Valley or new heater installation, our heating repair specialists in Huntingdon Valley can handle any heating repair including all makes and models of heaters, boilers, and furnaces whether they are gas, electric, or geothermal. As always we give you the cost BEFORE we begin the work so you have the options to choose what’s right for you. For heater maintenance in Huntingdon Valley and more, Think GREEN! At Green Heating, Cooling & Electric we take our job seriously. So when it comes to electrical repair in Huntingdon Valley you only want certified professional electricians working on your home’s electrical system. Electrical fires cause approximately $1.6 billion in property damage each year. Old electrical wiring, overloaded electric circuits and worn electrical outlets are the main culprits that can cause electrical shocks & fires. Green’s electricians & service includes a thorough inspection of your home’s electrical system where we inspect and test your system to make sure it is working properly. Fully licensed and insured in Huntingdon Valley for your peace of mind. For electrical service in Huntingdon Valley that you can count on, Think GREEN! Ductless air conditioners in Huntingdon Valley can be a great a substitute for traditional air conditioner window units and conventional central air conditioning systems in Huntingdon Valley. Ductless systems provide a cost saving alternative when the use of ducted air conditioning equipment would be impossible. When having a newer technology installed or repaired, it is important to have a trained, experienced professional working on your system. For all your HVAC needs make sure to think GREEN! Just like the air you breath at home is important so is the air you breathe at work. If you aren’t comfortable, then neither are your employees. Makes sure to trust only the best commercial HVAC contractors Huntingdon Valley. If it’s too hot or too cold we’ll make sure you get back to doing what you do best. We understand the needs of our commercial HVAC clients in Huntingdon Valley whether it’s big or small, we do it all. Our team of experts specializes in everything from start to finish including design, installation, regular maintenance and repair for commercial HVAC systems in Huntingdon Valley. Professional commercial HVAC services in Huntingdon Valley at affordable prices, think GREEN! A maintenance or service contract is an agreement that you may purchase to cover some or all of your HVAC maintenance and servicing needs in Huntingdon Valley. They offer many advantages that save time and money including fewer inconvenient and expensive service calls, prolonged equipment life, and peace of mind. At Green Heating, Cooling & Electric we always offer our customers options in Huntingdon Valley that best fit their budget and their needs. For all your HVAC needs, think GREEN!